So, who is dressing up for Halloween? Do you dress up for Halloween? I say, if you are working with kiddos, well then of course you have to! I will post a picture of my costume next week (yes, I wear it allllllll day, I am one of those people!). Moving on to the project at hand. The name says it all ladies and gents! 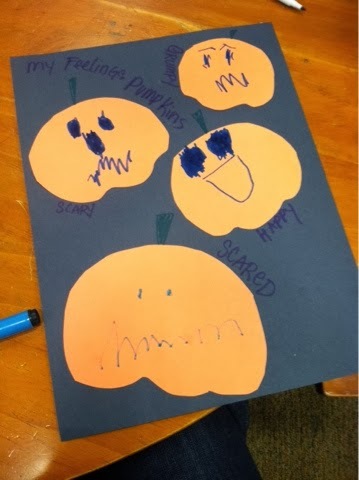 I cut out some pumpkin shapes (along with bats and ghosts) and we slapped some feelings on there! 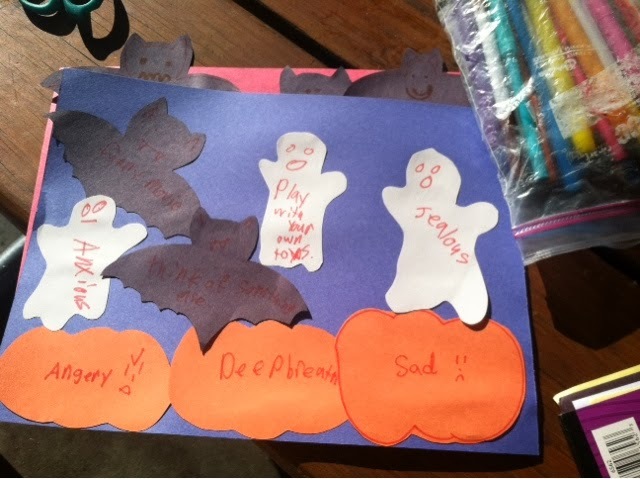 I read a book for one client (Halloween themed, of course) and prompted him to draw (a different) feelings from each page. You can also just brainstormed feelings and then a coping skills for each. Sometimes, it's just that easy! Hope you are having a spooktastic October!